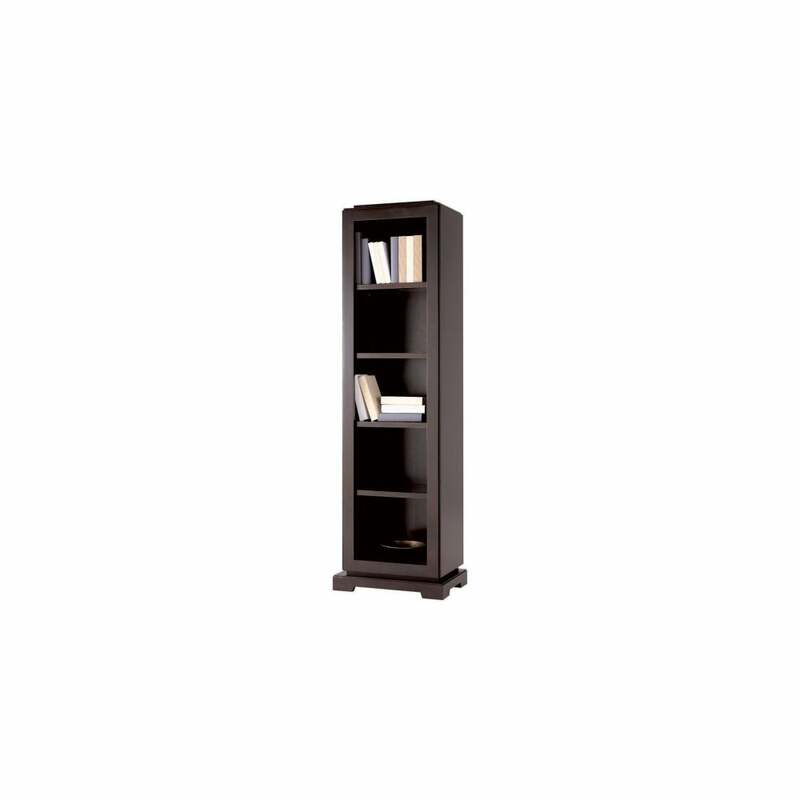 The Downtown Bookcase is a very smart solution for restricted spaces or simply for smaller storage requirements. With 4 adjustable wooden shelves, providing 5 spaces with the ideal dimensions to store or display treasured books, keep sakes or even small objet'd'art. This is a strong, yet elegant piece of furniture in The Downton range, in rich, dark polished cherry veneer it stands majestically on hanging platform feet in solid beech wood, providing a strong, planted appearance for this characterful piece. With an Art Deco design flavour this is a bookcase that can sit comfortably in any traditional or indeed contemporary setting with the option to pair up with other pieces in The Downton range, for instance the striking Sideboard or glass fronted China Cabinet, extending the look even further.